The Center for Religion & Spirituality invites you to this public Yoga, Mindfulness and Social Change workshop with Share Necessities executive director and yogi Arjuna O’Neal. Karma yoga means to perform work to the best of our ability in a state of mindfulness, without being overly attracted to the outcome or results. Karma yoga is usually translated as “the yoga of action”— that is, using the ordinary actions of your life as a means of “waking up.” Essentially, everything you do—from household chores like washing the dishes, to “important” duties, like your job—becomes a way of nourishing the Universe that nourishes you. In this workshop, participants will be introduced to the principles of Karma Yoga and its application to lived experience. 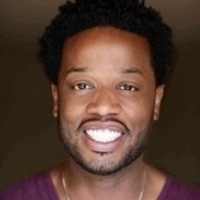 Arjuna O’Neal is a motivational speaker and the founder of Share Necessities. Born and raised in Detroit, Michigan, Arjuna grew up in an environment of poverty, gangs, violence and drugs. After being paralyzed and told he would never walk again, Arjuna was determined to improve his life and he began to research the benefits of mindful living through meditation, yoga, and education.